The above photo was taken by the talented Nicole Hill-Gerulat for One Charming Party. Summer and watermelon go hand in hand, don't you think? The above is a brilliant idea.....just put a stick straight into the source and call it good. 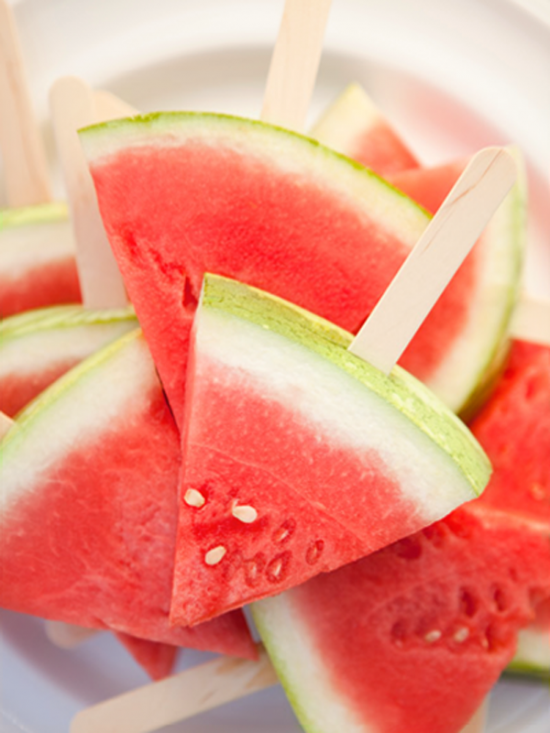 Well we definitely had to ring in the summertime with something that included frozen on a stick so we went with a little mixture that of course included watermelon. Have I told you how glad I am to have a camera? I may not always be the most Awesome Mom on the block but darn it my kids will at least have a huge assortment of pictures to look at when they get older;-) We are a little camera happy over here. Don't you just love those cowboy boots with the shorts? They have been Well's choice of shoes all week long. He doesn't seem to be bothered by the fact that it is over 100 degrees. Blend, then strain while pushing the solids to extract as much liquids as possible. Pour the puree into popsicle molds and freeze. We used dixie size cups as our molds. Anyway, on a decorating note I picked up a piece of furniture today that I had lacquered and I am so pleased with the results. I had received an estimate from another company and let me tell you the peeps that I ended up using were very fair and they really do such great work. I will share more on that later for all of you local readers who might be interested. Happy Summer all of you love muffins!! What amazing images and what a good idea for hot summer days..
Those kiddos are so stinkin' cute!!!!! 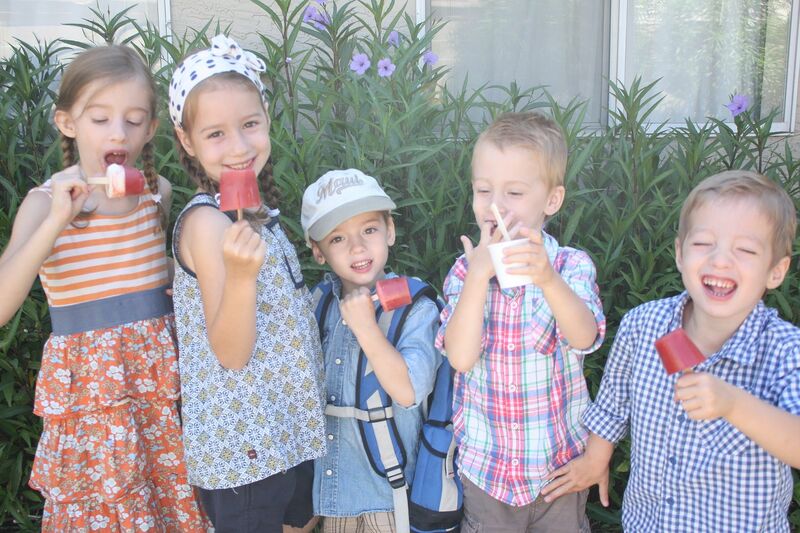 I'll bet they loved those yummy popsicles. Freeze just about anything and give it to them on a hot day and it will be a hit! hooray for summer... except not this heat. i wish i liked watermelon because that looks tasty. and cute kiddos.